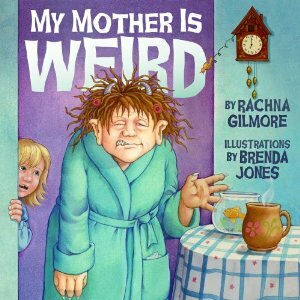 This picture book, published in Prince Edward Island, was written while author Rachna Gilmore was living on the island and tells the story of a young girl who thinks her mother is weird because she becomes a hideous monster version of herself in the mornings and when she is frustrated. The little girl flees to her friend Maria's house to escape her mother's wrath, and discovers that Maria's mother, too, is prone to this transformation. Finally, she realises that all her mother needs to become her normal self again is a hug.